Derek sees significant potential in Ghana’s young population and is excited that Microsoft has a presence in the country to help unlock this potential. Derek Appiah, new country manager for Microsoft Corporation in Ghana holds both an engineering and MBA degree. 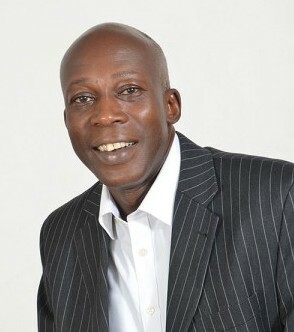 He’s gained over 20 years of experience in various fields; research, technology, product development, marketing, sales and management with various organizations; he’s worked in the UK as the general manager, new business development for BT, worked as a chief enterprise solutions officer at MTN, Nigeria. Derek has also been an independent IT and Telecoms consultant to telcos in UAE, New Zealand, Qatar and Ireland. He worked with Vodafone Ghana as a Vodafone business solutions director & previous CEO of Logiciel Ghana Ltd., currently a non executive director. A key area Derek will be focusing is developing youth employability skills, which he believes will help to develop Ghana’s business ecosystem. They are peace-loving and punch above their weight intellectually, making them the perfect candidates to take the country forward if they can acquire the necessary skills. Derek, Congratulations on your impact on the Ghanaian ecosystem. Thank you very much for the opportunity to meet Derek Appiah, the Country Manager of Microsoft Corporation. Now that we have an Office in Ghana, it is an opportunity to explore more the productivity of the Microsoft products. Hello , Thank you for the opportunity to meet Derek Applah, the Country Manager for Microsoft Corporation. Well I believe now that we have an Office in Ghana, it is an opportunity to explore more the productivity of the Microsoft product. Please is Mr. Appiah still the manager. If yes then we will need his office location and phone number for some enquiries. Thank you very much for update. I am building a good team which can forge good business relations with Microsoft Ghana. Hi Sam, Unfortunately we aren’t privy to this. Is there any other thing we can help with? Its an unpalatable fact that around 80% of computer operating system software is cloned( stolen) figures as heard on TV Copyright Dept ; I find it hard to imagine how a Country can develop ICT based on stolen software. Thus I would a shift where computer PC is either genuine Windows (paid for) or GNU license Linux. Thank you for the update. We will do our best to ensure we have genuine operating system and application packages. I strongly believe Derek Appiah, the Country Manager of Microsoft Ghana will make an impressive impact in the Ghanaian ecosystem. why does your phone contacts online never get to anyone? please care about your customers and potential ones very well. we need you but you also need us. Hello Esther sorry you couldn’t reach anyone by phone. Kindly leave us a message anytime using the form in the contact us page and you’ll receive a feedback. Thank you for visiting.